A sprinkling of Old Bay Seasoning makes this very flavorful and the cheesy topping makes is extra yummy. Just sprinkle the Old Bay Seasoning evenly over the fish. You can add more or less to suit your taste. Heat the olive oil in a skillet over medium heat and cook fish about 4 minutes on each side. 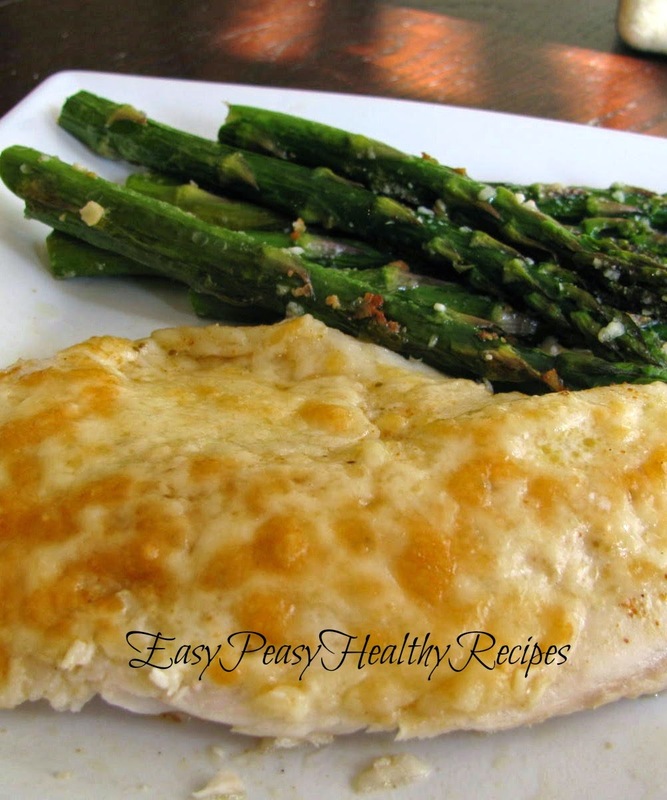 Remove fillets from skillet and place on a prepared baking sheet. Spread a thin layer of mayonnaise over each one and then sprinkle Asiago or Parmesan cheese over each one. Broil for about 4 minutes until the cheese is melted and fish is starting to brown. 1. Sprinkle Old Bay Seasoning over the fish filets. 2. Heat the oil in a skillet and fry the fish for about 3-4 minutes on each side. Use a wide spatula to flip them carefully as they may fall apart easily. 3. Place on a prepared baking sheet. Spread a thin layer of mayonaisse over the fish and then sprinkle the cheese evenly over the top. 4. Place under a pre-heated broiler and broil for about 4 minutes until cheese is melted and starting to brown. Serve hot.